This volume of original essays explores the power of network thinking and analysis for humanities research. Contributing authors are all scholars whose research focuses on a medical history topic—from the Black Death in fourteenth-century Provence to psychiatric hospitals in twentieth-century Alabama. The chapters take readers through a variety of situations in which scholars must determine if network analysis is right for their research; and, if the answer is yes, what the possibilities are for implementation. Along the way, readers will find practical tips on identifying an appropriate network to analyze, finding the best way to apply network analysis, and choosing the right tools for data visualization. 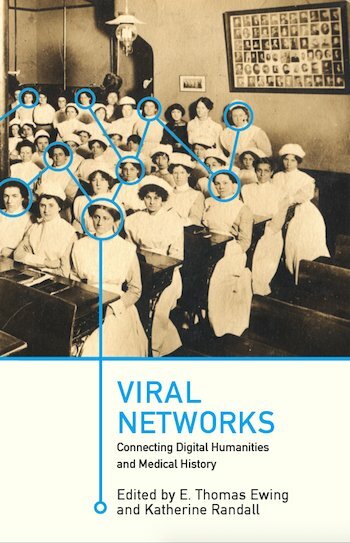 All the chapters in this volume grew out of the 2018 Viral Networks workshop, hosted by the History of Medicine Division of the National Library of Medicine (NIH), funded by the Office of Digital Humanities of the National Endowment for the Humanities, and organized by Virginia Tech.